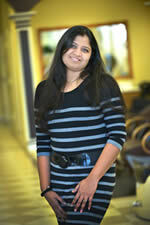 Payal is a licensed and skilled Cosmetologist with 10 plus years of experience on making people LOOK beautiful. Her expertise not only lies in Threading, Eyebrows, Full face and Facials but she also comes with extra ordinary skills in hair styling, blow dry style, high lights, skin care techniques, pedicure/manicure and Party Make-up. She possesses an Eye for perfection and is very artistic with Henna Tattoos. 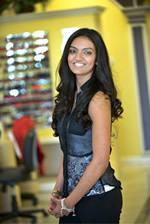 Mital is a licensed and highly talented Cosmetologist with over 8 years of experience in the world of beauty. She has mastered the art of coloring and highlights. Skilled in threading, hair styling, skin care techniques and pedicure/manicure.